I read “Brave New World” in high school and thought it eerily accurate to today’s world, considering how long ago it was written. It focuses on complete control of everyone, down to their exact job, intelligence level, and ideas. But they don’t use force to achieve this result; they use distractions. 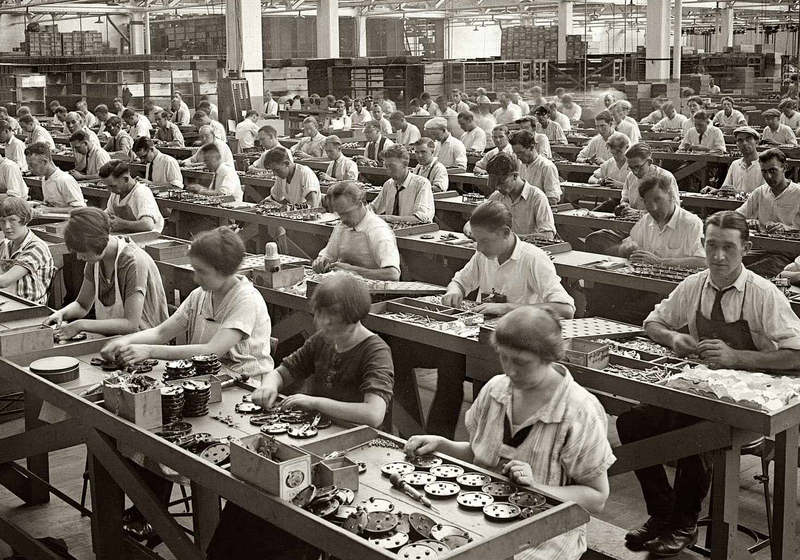 This idea of Taylorism (like a “cookie cutter” assembly line) more than anything, decreases the sense of uniqueness that used to be a part of most art. People and art are being managed in a way to be the most efficient and productive as possible, to the point that every little detail and action is controlled. While this is good for maximizing efficiency and output, the question is how it affects the people and culture, because they aren’t robots. It’s concerning to see the lack of originality and surplus of control that is growing in the world. A relatively benign view of things would be to see the robotization of human labor as an unfortunate price which must be paid in or to have cheap and readily available necessities. A less benign view would be to see the robotization of human labor as a means of creating cheap and readily available nonsense. A much dark view would be to see the robotization of human labor as an end until itself.